Shorts are an essential part of any players kit so why not pull on these Flex Strike Football Training Shorts in a Black and Metallic Silver colour mix made by Nike. 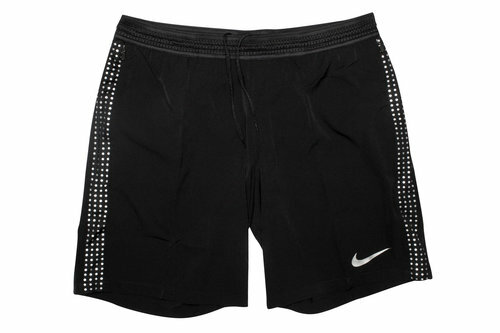 These shorts are at the forfront of design from Nike with several special features. A flyvent waiteband increases both the agility and breathability of these shorts meaning you can move more freely on the pitch. Stretch fabric with Dri-FIT Technology also helps keep you stay dry and comfortable by wicking sweat away from your body to the fabric's surface, where it quickly evaporates. A key component to any athletes bag, add these Flex Strike Football Training Shorts to your kit bag today.